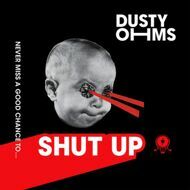 The debut album from Essex based producer Dusty Ohms. Although seemingly fresh on the scene, this latest guise is the result of over a decade in underground music. The skit 'Dagnarm Dafadilz' features and is dedicated to Big J (R.I.P), an extended interlude is included exclusively on the cassette version. The artwork of which is bespokely printed and packaged. A special thanks to Matt & Oli for their hard work and passion in making this happen.